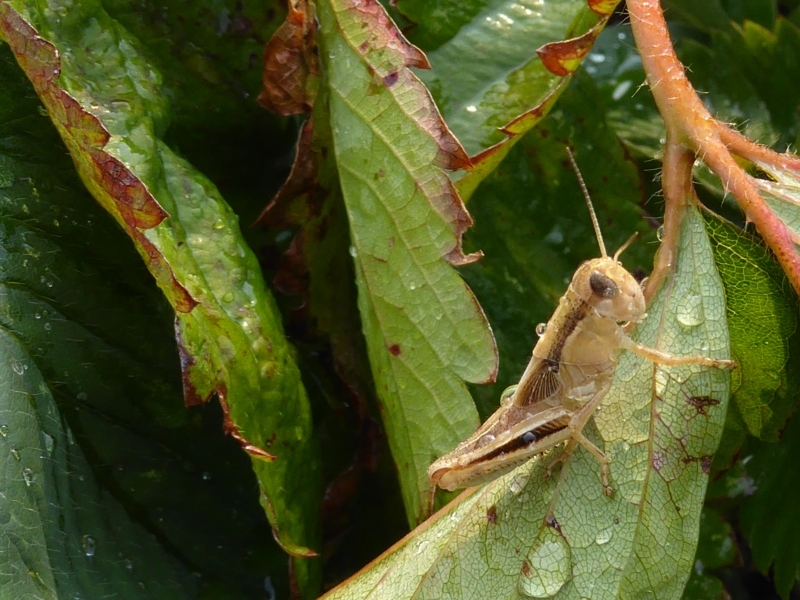 I was watering the garden today when I noticed a welcome visitor. 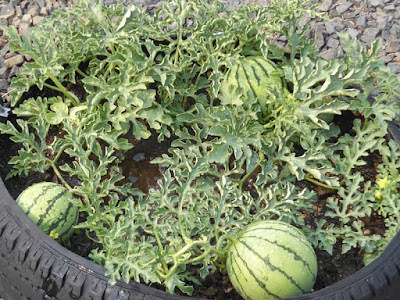 Here's a tire of Cream of Saskatchewan watermelons. 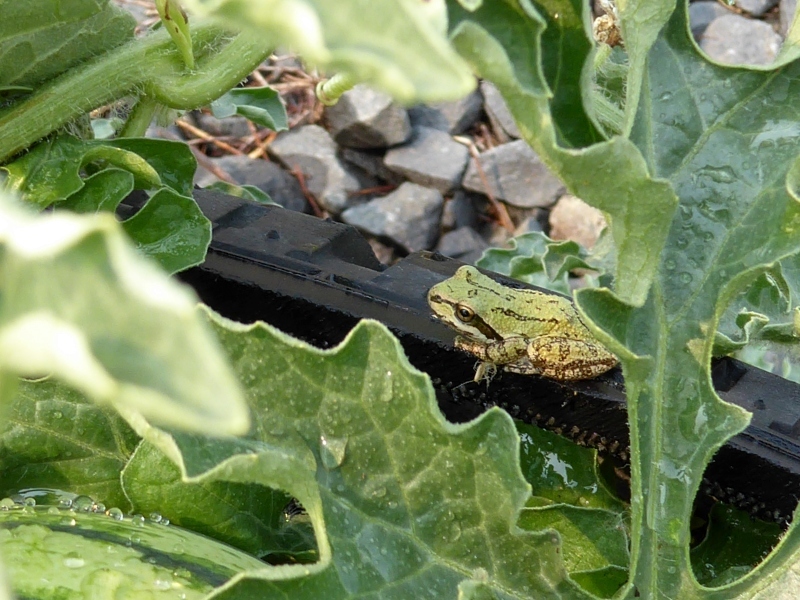 As I watered, I noticed this little guy. They say the sign of a healthy garden is all the wildlife hanging around. I sure like the above visitor over the one below, but I guess it's all part of the game. Just a little farm snapshot for your day. I also live in N Idaho and have noticed more than normal grasshoppers around, my chickens had better get working on this, I wonder if it is all the heat we have been having. Shouldn't that frog snap up that grasshopper? In theory yes, but they were about the same size. I am enchanted by the name of the watermelon. Cream of Saskatchewan is lovely. Beautiful pic in your header. I assume it is your homestead? Something to enter in a photo contest. I **wish** it was our hay, but no such luck This belongs to some neighbors who live about 1.5 miles away. Nice picture of all that hay. Love the watermelon - where'd you get the seed? I haven't tried melons here in the Vancouver area since my growing season is so short. When do your puppies come home? My puppy comes home on Monday, 8/28. Not sure about Don's little guy, hopefully it will be sooner. Have you picked a name yet or is it a secret? I've narrowed it down but haven't decided yet. I think I'm just going to have to get him and see what name "fits." Cream of Saskatchewan watermelons....I definitely don't think of watermelons and Saskatchewan together, ever..
any you may find the receipt on the internet. There is a receipt for watermelon rind pickles. Dear Patrice, Where did you purchase the Cream of Saskatchewan watermelon seeds?